Shares of Vedanta tanked 20 per cent to Rs 158 apiece, hitting 30-months low on BSE on the back of heavy volumes, after a subsidiary company, Cairn India Holdings, bought a stake in Anglo American from Volcan Investments, a family trust of promoter Anil Agarwal. The stock hit its lowest level since August 4, 2016 on the BSE. In December 2018 quarter, Vedanta announced that as a part of its cash management activities, Cairn India Holding Ltd (CIHL), a foreign subsidiary, has paid US $ 200 million (Rs 1,430 crore) to Volcan Investments, the ultimate parent company of Vedanta, to purchase economic interest in a structured investments in Anglo American Plc (Anglo) held by Volcan. Volcan Investments is a promoter entity which delisted Vedanta Resources from the London Stock Exchange. It holds a 97.2 per cent of the existing issued share capital of Vedanta Resources. Management explained that this was a part of CIHL’s cash management program and instead of investing in low-yielding US government securities; the current deal is an attractive opportunity to invest in the structured product. The returns of this investment shall be linked to the share price movement of Anglo. In addition, Cairn will invest about Rs 2,000 crore over the next 20 months in the same transaction, analysts at Emkay Global Financial Services said in result update. “We believe this is an unrelated investment by CIHL and there is no confirmation that CHIL will not make incrementally additional investments in Volcan Investments. We await further clarity from management on the utilization of cash balance in other subsidiaries and a clearer capital allocation plan. We put the stock under review until further clarity is obtained”, the brokerage firm said. 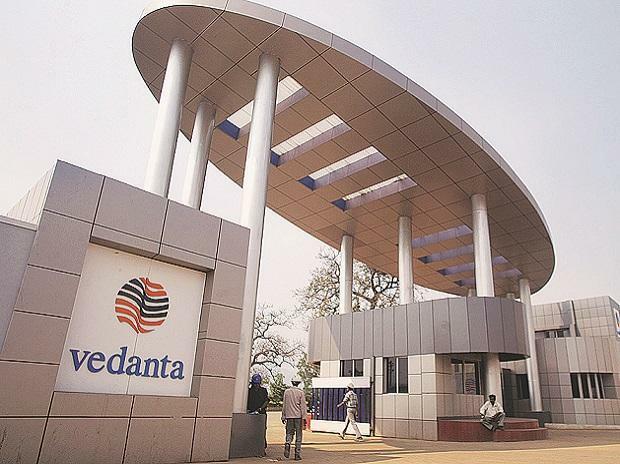 Meanwhile, Vedanta posted a 21.1 per cent fall in the net profit at Rs 1,574 crore in December quarter (Q3FY19), hit by a drop in commodity prices and shutdown of its copper smelter in south India. It had reported a profit of Rs 1,994 crore in a year-ago quarter. Revenue from operations for the quarter was Rs 23,669 crore compared with Rs 24,361 crore a year-ago. At 09:55 am, Vedanta was trading 18 per cent lower at Rs 161, as compared to 0.32 per cent rise in the S&P BSE Sensex. The trading volumes on the counter jumped seven-fold with a combined 48.5 million equity shares changed hands on the NSE and BSE so far.